The Finance and Accounting Services Sector Education and Training Authority (Fasset) was established in 2000 and its main role is to influence the effective operation of the labour market through effective skills, so as to ensure the appropriate supply of competent labour, which is necessary to compete in the global economy. “There are four strategic goals that form the foundation of Fasset: increasing the flow of new finance and accountancy entrants to employment, developing and growing the skills required in the sector, facilitating the transformation of the finance and accountancy sector and producing knowledge of the skills needed in the sector in order for stakeholders to make informed decisions about skills development opportunities,” explains the acting CEO, Elizabeth Thobejane. Fasset provides funding across a range of programmes in the financial and related services sector. They have a number of bursaries and work with all the major universities, universities of technologies, as well as with Technical and Vocational Education and Training (TVET) institutions. Strengthening the capacity of TVET institutions has become a primary focus of Fasset’s revised strategic approach. “We decided to start supporting the TVET sector actively as, in a way, it tends to still be a bit of a forgotten sector, suffering from esteem issues in terms of learners attending TVET Colleges and attaining the National Certificate Vocational (NCV) only to find it is not well regarded by employers. Learners themselves are feeling that they are in a programme where, upon completion, there aren’t many prospects, post the attainment of that certification,” says Thobejane. “So, we are supporting this sector from our end and we’ve targeted learners who have enrolled for the financial certificate and also the business management certificate to complete a workplace learning component as part of their requirement to complete their certification. For the 2018/2019 year, we will be financing 480 TVET learners to be placed in the 18-month learnership programme,” she adds. Thobejane says that this is only one of the initiatives of the new pipeline approach to skills development in the financial services sector. She explains that in correlation with the strategic posture of the new board and the aims of facilitating employment, for the first time since 1919, Fasset has made the decision to finance 1 000 matriculants and place them into 18-month learnerships. Thobejane stresses that having an effective pipeline approach is the key to successful skills development. She explains that delving deeper into the pipeline and looking at and reassessing the performance of our basic education system, the quality of teaching and the production of students with good pass rates in maths and accounting can drastically impact the financial services sector. “If we’re limping at the foundations, we are never going to achieve the correct quality higher up in the pipeline. What we’re finding when looking at the TVET system, for example, is that, yes, we can pull TVET graduates and put them into strong programmes with our professional bodies, but they already enter the programme with such a disadvantage and we can see that it goes back to the quality of teaching and learning in the colleges,” says Thobejane. She says that, often, the curriculum may not be keeping up with the developments in the industry and elements of it are a bit too theoretical and outdated. Through research and conversations with the Department of Higher Education, Fasset has identified that a big constraint is the quality of teaching in the colleges, and has made the forward-thinking decision to finance the upskilling of college lecturers of the Financial Management Certification qualification. Thobejane also explains that Fasset’s strategy will shift majorly to place more emphasis on the National Qualifications Framework (NQF) Levels 4 and 5 and will not only focus on improving high-end skilling at NQF Level 6. “The financial sector is all about what drives the income and produces that high level of contribution to the GDP. Traditionally, there is a great focus on improving high-end skilling. However, it becomes very important for us—and this is the message, going forward—to place more emphasis on NQF Levels 3, 4 and 5, which are your low- to mid-level skill production, because that is where there is a substantial scarcity of skills. We need to focus on low NQF Levels to decrease unemployment and support transformation,” says Thobejane. 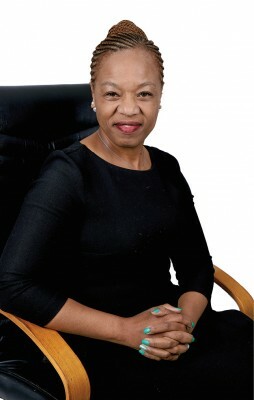 “We’ve achieved a lot of in-growth in terms of fast-tracking black graduates into professional designations and also supporting black graduates who are still at university, to increase the throughput rate at a university level and also to then support them as they enter the workforce,” she adds. To further enforce strengthening the pipeline approach, also in 2019/2020, Fasset is, with much more focus, going to increase and bring back their intervention with basic education with the schools, partnering with the schools in terms of improving maths and related gateway subjects. “We also have to strengthen our career development programme because that is where learners are often not clear about what the options are that are available to them and how to navigate them,” says Thobejane. “The financial services sector is one of the key economic sectors that is critical to keeping the South African economic engine driving. We’re interested in deepening the value of our programmes and it was a very determined decision by Fasset to say that we will go beyond just the financing of training, and will start to look at the value chain from school to university to the workplace, and solidifying the pipeline,” she says. 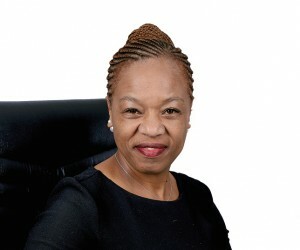 With over 20 years in the skills development sector, Thobejane has occupied various roles, most recently, as the Deputy Director General in the Gauteng Provincial Government. She began her career as a school educator, eventually becoming a Human Resource Development Officer involved in training and programme development. In 2000, she became a Policymaker in the government. “As a Policymaker, I was part of the architecture of the skills development plan and learnership regulations that we are currently using. “In this role, the biggest frustration for me was not being able to witness the complete progression from the creation of a policy to its implementation. What would make it so frustrating is that you would know the line of communication—from the intention of policymakers and the understanding and the application of it further downstream—but then it would end up not aligning, and you’d ask yourself why these things have not worked with the level of success you had anticipated in the policy. And that is what I enjoy about my current role at Fasset. Being able to follow through from start to end, identify the sore points and create solutions,” says Thobejane. “Taking the pipeline approach and cementing the other missing elements in the value chain and ensuring that we pay attention to those will guarantee learner success so that we can guarantee a better return on investment,” she concludes.